The best hostels in London will be key search criteria for many of you planning your trip to the UK capital. Absolutely heaps of tourists and travellers visit the city each year, many on a budget. So instead of pricey hotels or Airbnb’s, hostels are a killer option if you want to visit London and meet like-minded people in the midst of a travel adventure. It’s not a cheap city to stay in, so we’ve compiled a list of the best hostels in London for you to peruse. Here are the 10 best hostels in London for you, keep reading! Park Villa is located in the northeastern part of London in the town of Bow. The hostel has been one the favourite places to stay in London, as in 2017 it was the country winner for the best hostel. The rooms changes in sizes, you can select what kind of dorm room you want to stay up to 8 people. The public transportation is also very convenient, there are bus and tube to the center of the city even in late hours. The common lounge, the rooms, and the bathrooms are all super clean. You can have breakfast for 3€ as well. The facilities are great, the staff is attentive – the hostel is just what you are looking for a nice, decent and budget-friendly stay in London. Hostel One is already a big name in the hostel industry. Now in Camden Town, they have a very beautiful place for budget travelers. The hostel is organizing many events through the week including darts and table football competitions, free daily tours, British pub crawls and also most importantly free dinners! Also, the hostel is only a few kilometers to the central London, you can take the tube or a bus to reach there easily – only in 5 minutes. It is a great place to make new friends from the international travel community as there is an event every day. The hostel is in the residential area of London and the building dates back to the 19th century. It also has many local pubs -one is just downstairs and peaceful streets at the same time! Did you know this building dates back to the 1850s but there has been a pub here since 1752 under another name before The Lord Southampton ! Barmy Badger’s is located on the west side of the central city in Earls Court which is very close to Hyde Park and Kensington Palace. Your room rate includes a nice spread of breakfast, all day tea and coffee, personal locker, luggage storage, and super comfortable beds! The staff is very friendly and always there to make you feel you are well taken care of during the trip. They prepare barbeque, movie and dinner nights as well so if you are a solo traveler, you can meet new people too. The kitchen is fully equipped and it’s a great way to reduce cost if you want to cook here. There are supermarkets nearby too. You can enjoy few drinks or a simple meal outside in a nice cozy backyard they have as well. 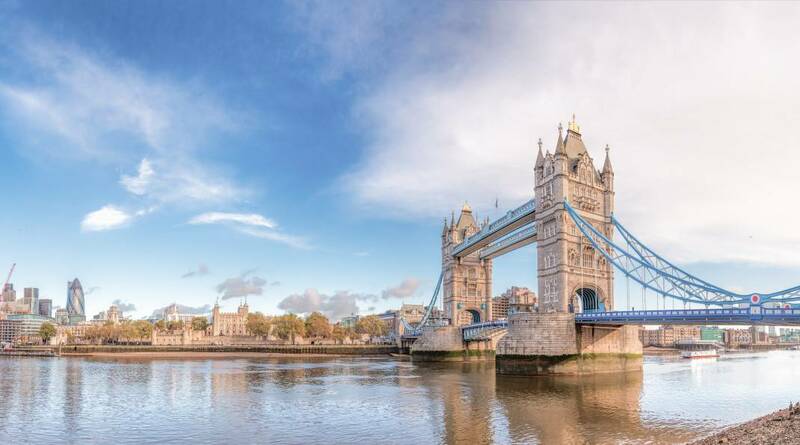 Do you want to be close to the main attractions while you are in London? You will in Hostel One Notting Hill. The hostel is another location of Hostel One chain. This time the building, rooms, and areas are all designed with the inspiration of British bands and music artists. The hostel is recently opened but gained a huge success pretty fast among the travelers. Both by its location and a terrific staff. The most favorite parts are the building which is from the 19th century, the garden with its relaxing ambiance and of course the free dinners which is the great opportunity to connect with new people. In addition to all of this, the hostel is only a few hundred meters away from Kensington Palace and Hyde Park! Right in the heart of London, YHA London Oxford St. is in the Carnaby area and only a few minutes away from the British Museum, Covent Garden and National Gallery. This hostel literally has the best location for a budget traveler in London. They have weekly events as well such as daily tours, cruise tour on the Thames, famous British Sunday roasts and also movie nights. YHA is popular with its locations, staff, and facilities available and this place is also a big hit with those. The area of the hostel is in the middle of Soho which means a lot of nice places to eat, drink a beer in a pub and also see and visit. If you want to be close to everything, this hostel is the perfect place. Wombat’s is an award-winning hostel chain all over the world including here for your stay in London. The location in London was awarded as the most popular hostel in London for the last three years! Well, there are several reasons for that! First of all, the hostel has a great location. It’s only a few minutes away from London Bridge and The City Hall. You won’t be far away from Shoreditch as well where you can enjoy some nice clubs, a few cocktails, and young crowds. You will be greeted with a welcome drink here, a friendly staff and a cozy atmosphere. There is also an all-you-can-eat breakfast buffet in the mornings for 5€ – a good catch! Another great location in Borough area is the Rose and Crown. The hostel rooms are located on the upper floor of the building. The lower floor is a bar and a part of the hostel’s building and luckily you can get a discount here as being a guest. The hostel is very close to London Bridge, Borough Market, and The Shard. Rose and Crown offer a more personalized hostel service with less room, more amenities available in the room such as mini-fridge, a TV, kettle, and mugs for a hot drink and with super friendly service. The price includes a very delicious and generous continental breakfast too. The Rose and Crown is a win for budget travelers, so you don’t need to worry where to stay in London! As the name says, Astor is a great place to stay for museum lovers, the most famous museums of the city are only a couple of minutes away from here. National Gallery, British Museum – right across the street from the hostel, Grant Museum of Zoology, Madam Tussauds London and also few streets away from the famous Covent Garden! The hostel is also well connected to the other parts of the city with tube and bus, so you don’t need to worry if you visit outside of central London. They also offer charity breakfast in the morning -cheap and all the money goes to the ones in need! There is a common and a big kitchen which is fully equipped in case you want to cook your own food too! Oh go on, one more then! St. Christopher’s is known as one the best chain hostels in Europe and this one is also saying why. The location is perfect and the theme is super eccentric! The hostel rooms are actually comprised of Japanese style cubicle beds. This hostel is the first capsule hostel in the United Kingdom. In addition to that, St.Christopher’s this location is famous for being a party hostel so you should stay here if you want to have some fun and make new friends while doing that! It’s very close to Borough Market and only a couple of streets away from London Bridge. Let’s make it double digits! Walrus is an example of how a bar and a hostel go very well together. The place has a quaint vibe with modern touches, the common areas have a very eclectic organization with vibrant colors and vintage looks. The hostel is more like a home rather than a stay-only place. The kitchen is open for the guests -just like the one at your home too. The staff is very attentive and friendly as well. The breakfast is included in room rate – it’s simple but very good to start a day. The hostel only one street away from the Waterloo Train Station and 5 minutes walk to London Eye!